ECS aka: Easy Climate Solutions is an MCS distributor for the United States and Canada, in 2011 ECS introduced the MCS XL9 infrared heaters to the US market, since then ECS has introduced more of the MCS models to the market in the United States and Canada and is expanding MCS products distribution through a dealer network in the United States and Canada. MCS is a world leading manufacturer of machinery for climate control. MCS machines are designed for professionals and our aim is to help them adjust their working environment to their needs in the quickest and simplest possible way whilst retaining low investments costs. The global presence of the company and its many years of experience makes MCS an unquestionable market leader in the segment of portable machines for climate control. The basic element of MCS company’s development is to introduce new products and technical innovations as well as maintaining current position of the market leader and expanding into new markets. Thanks to our extended distribution and service network, our products and technical assistance reach clients in many countries all over the world. Sales department staff offers their expert advice in organization of the distribution network in local markets. Systematic technical and sales training courses assure a professional service to users of our equipment. MCS products are used as the first choice of equipment for factories, construction sites, farms, offices and households. Machines manufactured by our MCS can be characterized with innovativeness of technological solutions, easy operation as well as high quality, efficiency, and reliability. Thanks to the modern character of our products, we improve the quality of air and climate in all applications. MCS has manufactured heaters since 1954, the XL9 series of infrared heaters have been manufactured and sold in Europe and other countries since 2004. We strive to satisfy the needs of our customers. Thanks to the involvement of our staff, we are able to adapt our products to individual needs of the clients. We constantly look for innovative technological solutions in order to improve operation of our machines and their quality. All of our products meet international quality and safety standards. MCS Heaters are sold under the MCS brand name in the United States and Canada, and in the rest of the world under the Master Climate Solutions brand name. 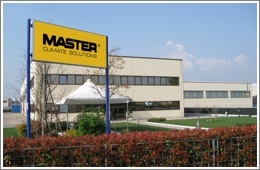 MCS Italy, located in Pastrengo, near Verona, is the important heart of the Group for engineering and manufacturing. It consists of two plants and a network of integrated suppliers, strongly linked to MCS. A team of experienced engineers work full-time on the design and development of new products. MCS Italy design and manufactures mobile heaters with the utmost reliability and safety standards, according to the most recent and rigorous European Standards and Certification Requirements of the most prestigious Quality Control and Homologation Institutes such as TUV and DVGW. There are several production lines, each one dedicated to a specific product line. These allow to achieve the highest quality as the workers and the equipment are specialized. Here are the assembly lines for gas, direct and indirect heaters. All products are packed and stocked in a large warehouse, serving Southern Europe and oversea customers. 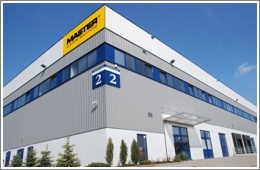 MCS Central Europe is both a manufacturing facility and a logistic hub located in Gądki, near Poznań, Poland. Here is an assembly line for electric heaters of high standards, excellent in performance and reliability. Another assembly line produces universal oil heaters – a good solution for ecology, burning in the cleanest way bio diesel or exhaust oils. Also the big indirect BV heaters are assembled in islands of production. 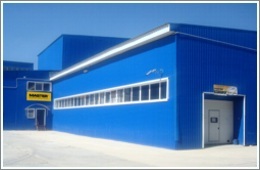 MCS Central Europe is also the main warehouse of spare parts in Europe. These are promptly dispatched worldwide in order to assist at the best the requests of the after sale service points spread all over the continent. Thanks to the good geographical location, MCS Central Europe has been chosen for positioning a big warehouse of finished products, serving as logistic hub for North and East Europe. MCS Russia is the third entity of MCS Group, located near Moscow. It consists of the commercial office and spare parts warehouse. Its goal is to keep sales support as well as spare parts and technical service. MCS Russia is serving the huge territory of CSI, Kazhakistan, Uzbekistan, Georgia and Azebargian. MCS China is the youngest entity of the MCS Group, located in Shanghai, China. The young team is active in sales and after sale support for the customers. It consists of the warehouse of finished products as well as the warehouse of spare parts. 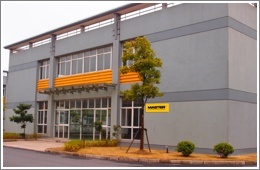 MCS China is also active in the supply of components for the factories of the Group. Not all models are currently available in US market.